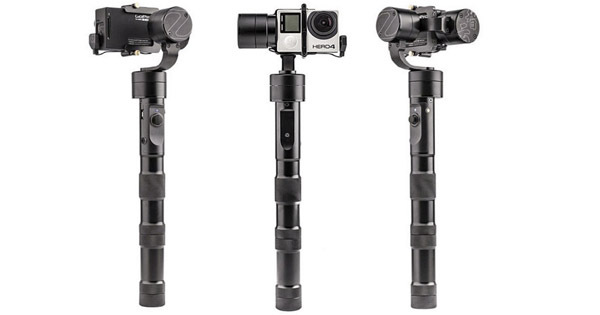 Home / Gopro gimbals / Why is the Zhiyun Evolution so interesting a Gopro gimbal ? The Zhiyun Evolution is definitely one very interesting Gopro stabilizer. Indeed, even though it’s by far not the best-known, it is really worth of interest. Indeed, it has quite a few considerable assets that make it one of our favorites. Among them, when can mention the very good quality/price ratio and the awesome battery life. Discover the reasons for which the Zhiyun Evolution is really an interesting and convenient gimbal for your Gopro. 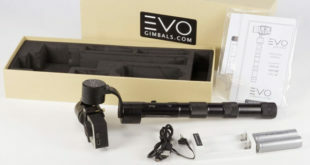 Well, as we’ve said quite a few times during our Zhiyun Evolution review, this Gopro gimbal is very very close to the American gimbal, the EVO GP PRO. Indeed, when you have a look at them, it is very difficult to find the differences. 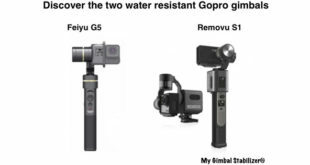 If you don’t look at the logo, it is certainly impossible to say which gimbal is the Zhiyun Evolution and which one is the EVO GP PRO. When it comes to performances, the assessment is almost the same. Yet, this gimbal offers a way better battery life. Indeed, you can count on up to 12 hours of running time with the Zhiyun Evolution. This is very pleasant, and, furthermore, you’ll be able to recharge your Gopro while in use. As far as quality, reliability and stabilization are concerned, it is really convincing. 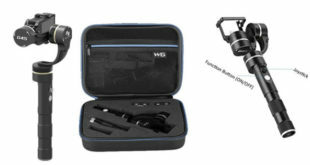 Even though it is not the best on the market, it is really impressive and you really feel like you are using the EVO GP PRO gimbal, which is, let’s have a short reminder, twice the price of the Zhiyun Evolution. Unfortunately, as you can see in our in-depth review, we were a bit disappointed by the lack of functions. Well, you can’t have everything. That’s why we graded it with a 7/10 in the section of our review. It offers a very good taking in hand and controlling, though. Indeed, even though the Zhiyun Evolution is more than simple, it has a very easy controlling which will convince every of its users. Indeed, you just have 1 button and one 5 ways joystick. 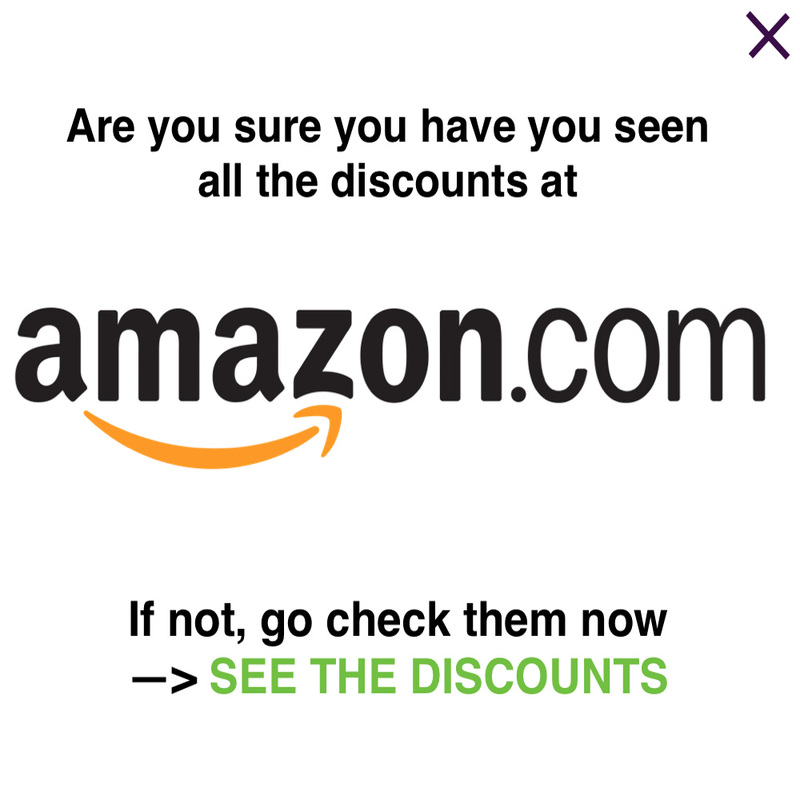 Therefore, you don’t need to ask yourself “what is this button designed for?”. Finally, what we really enjoyed during our Zhiyun Evolution review was the fact that the grip has a perfect size according to us. Indeed, it is neither too big, nor too small. It’s just perfect. Hence our very good grade of 9/10 for this criterion of our Zhiyun Evolution review. All in all, as we’ve said, this is not the best Gopro stabilizer, yet, it has certainly one of, if not, the best quality price ratio on the market. Indeed, the Zhiyun Evolution will cost you less than 199$ . This is really cheap and you’ll have a performance almost similar than the EVO GP PRO. Next DJI Osmo+ : is it the best gimbal with integrated camera ?